Oh la la, where to begin? 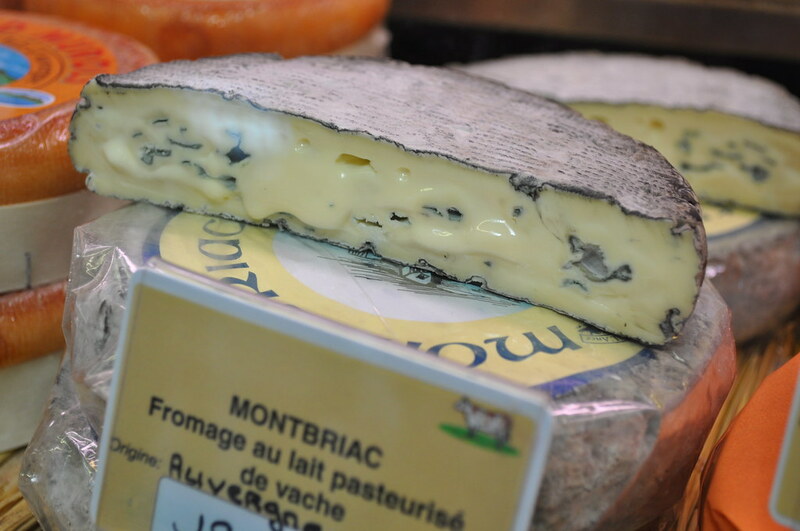 A week in Paris and too many delicious things to keep track of them all! Still, we managed all the musts. First, markets. Markets, for us, have always been the heart of a city. Spending a few hours observing what and how locals buy and sell is the most fascinating and thorough way to understand a place and time. 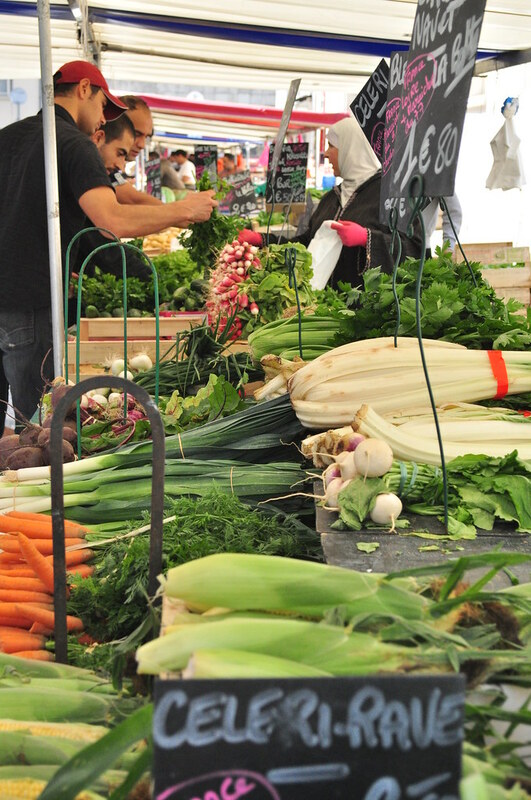 With this in mind, we headed to the Marché d’Aligre on Sunday morning where, in addition to the covered market that’s there week-round, a very colorful and surprisingly extensive Farmer’s Market takes up residence on the main drag. Next, crêpes. 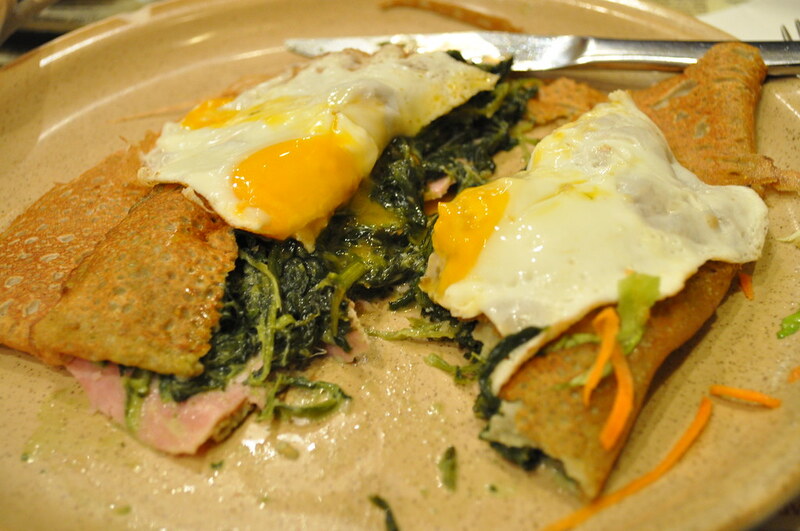 We had several in our few days in town – savory buckwheat crêpes filled with lemony spinach, succulent mushrooms and a good ham, often topped with a fried egg (whose intensely orange yolks put North American supermarket eggs to serious shame), or sweet crêpes flambeed and topped with glace. A particular favorite was La Creperie Josselin, in Montparnasse. The crêpes were no better than ones sampled elsewhere, but the spot was fun with its dark wood interior à la Bretange and boisterous diners egged on by jugs of sparkling cider. And then there was falafel. City lore claims L’As is the best, but the lines at this Le Marias hotspot were too long to be warranted. 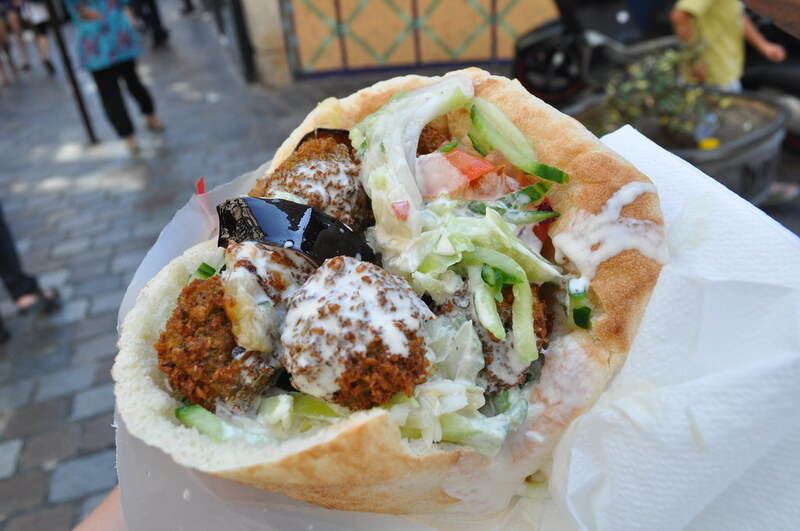 Rue des Rosiers is something of a falafel haven, however, with Mi-Va-Mi across the street and Chez Marianne around the corner – both also a mere 5€ and looking equally tasty (the only noticeable difference was that L’As had obnoxiously yellow napkins.) So we took a chance and tried Mi-Va-Mi. Wow. First, in a city of small portions, this falafel felt giant even by NYC standards, with a plush pita stuffed with hummus, red cabbage, shredded cucumbers, grilled baby eggplant (!) and doused in tahini. But, what really set it apart was the falafel balls themselves – satisfyingly crunchy exterior and a surprisingly airy interior, and so perfectly and complexly spiced that you continue to wonder exactly what is in each ball, even after you’ve put down a whole sandwich and eaten half of your travel partner’s as well. 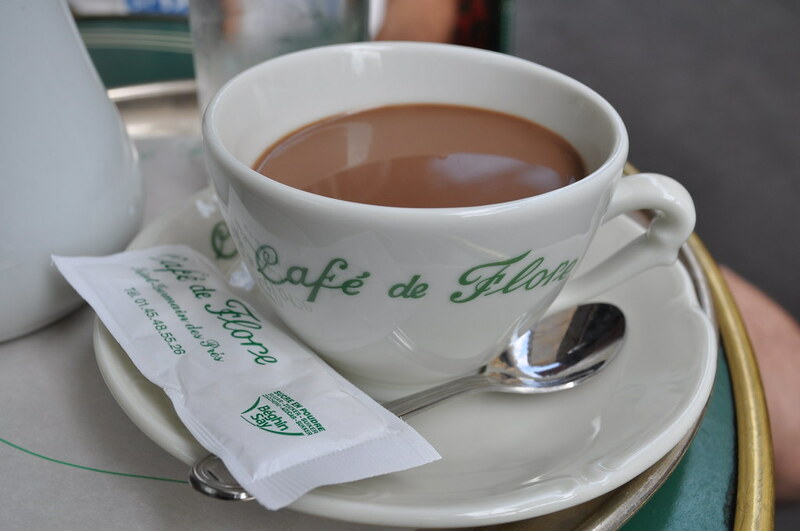 Despite the balmy August temperatures, we stopped in at Café de Flore one morning for a Chocolat Special. It’s a bit of touristy spot, though it once was an intellectual hub on the Boulevard Saint-Germain (with its red velvet and gilt mirrors, it’s easy to see its writer-ly appeal.) But say what you will, the chocolat was delicious – rich and dense and tasting of the best chocolate and unpasteurized milk. Oh! 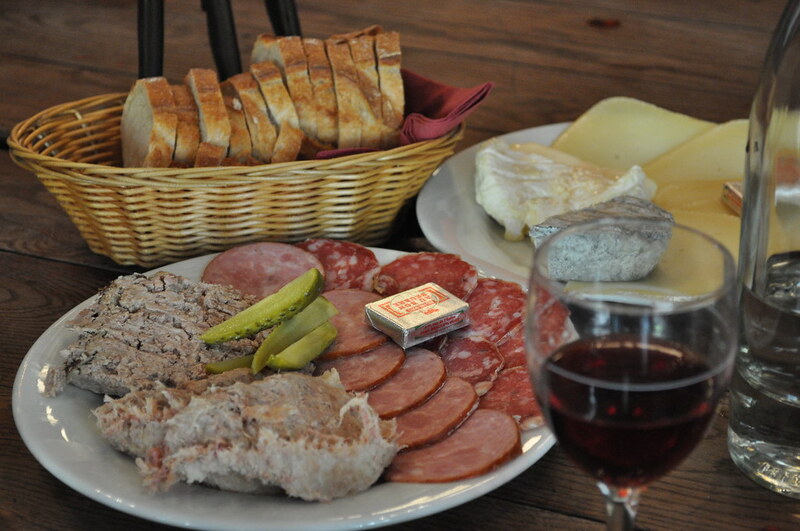 And another fabulous little spot for lunch if you find yourself on Rue Vieille Temple in Le Marais: Petit Fer à Cheval. 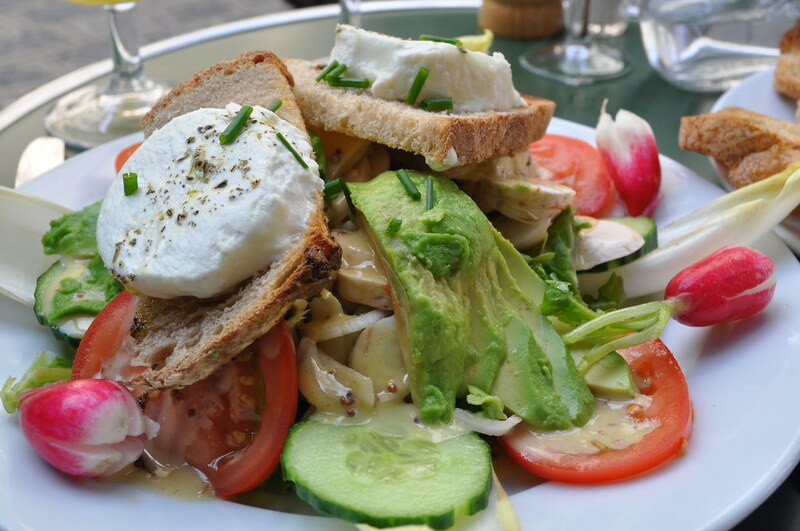 Lovely sidewalk cafe with crowded green tables and wicker chairs and simply prepared French classics. 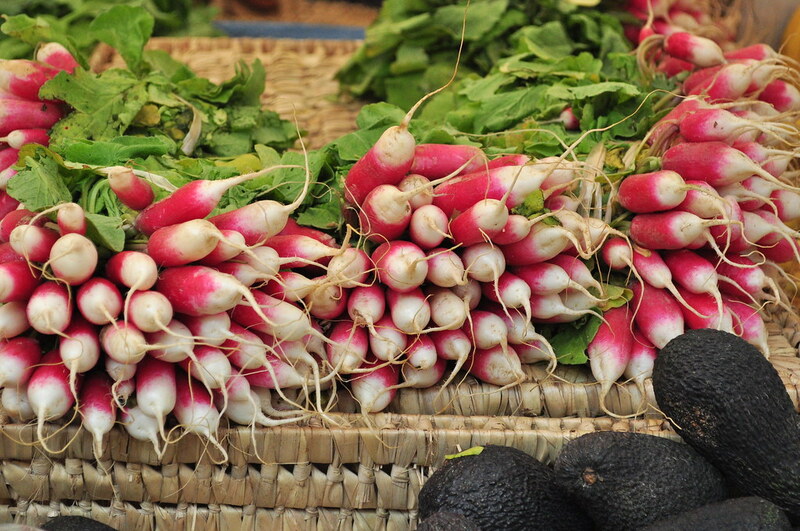 The végétarienne melted goat cheese salad (this is a French, not Californian, invention) with those ever popular French breakfast radishes was delicious, as was the smooth slice of foie gras with fig jam we devoured second. 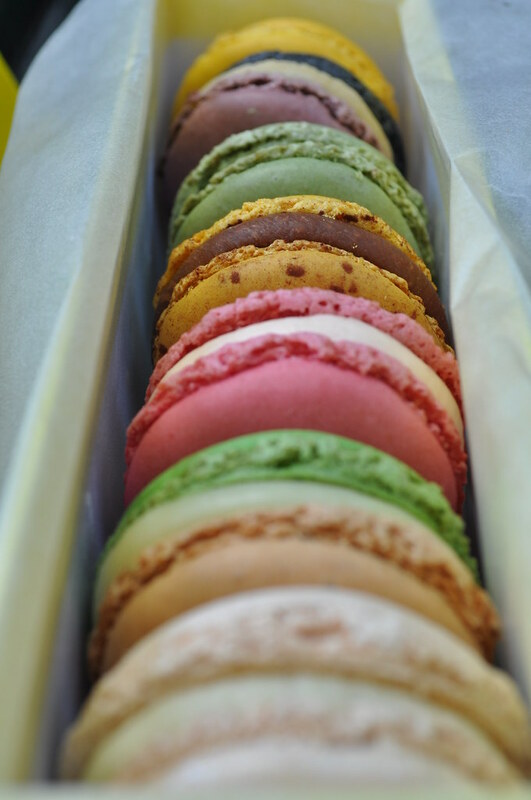 But, the true pièce de résistance…were the macarons. 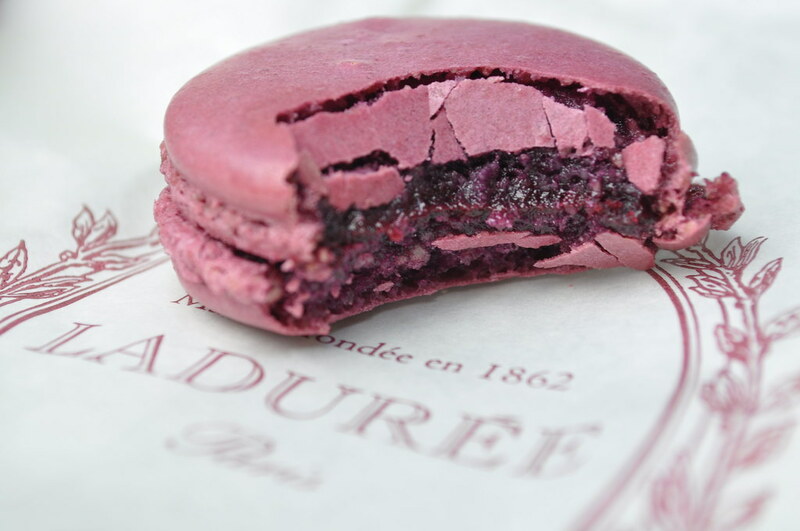 There is many a myth surrounding Paris’ most celebrated macaron shops – Ladurée and Pierre Hermé. Some say Pierre was first a pastry chef at Ladurée and was forbidden to take the famed recipe with him when he parted ways, so he took what he remembered and ultimately made it better. Whatever the story, an afternoon of macaron tasting is a truly luxurious indulgence, and one not to be missed. We went as three, in order to try the most flavors possible. Luckily, the rivals are but blocks away from each other on Rue Bonaparte, which makes comparison easy. We started with Ladurée, where we sampled the minty raspberry, chocolate, and violet & licorice pictured here (served by employees sporting matching pastel bow-ties and vests.) Light as air, delicate, and beautifully flavored, we couldn’t imagine a better a macaron. Ladurée, we agreed, was the original and the best. But, then, we sampled Pierre Hermé. 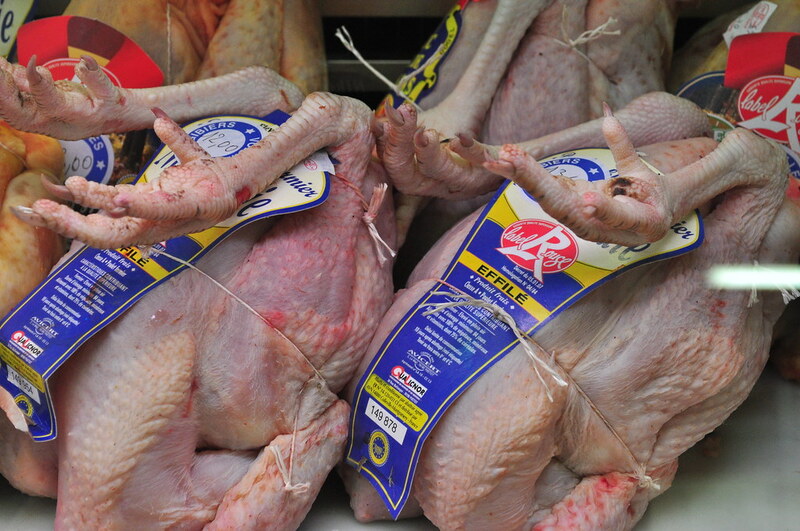 Perhaps it was that we tried these second, or perhaps the myth was tugging at our tastebuds, but…his are better. It’s hard to say how, exactly, they just…are. 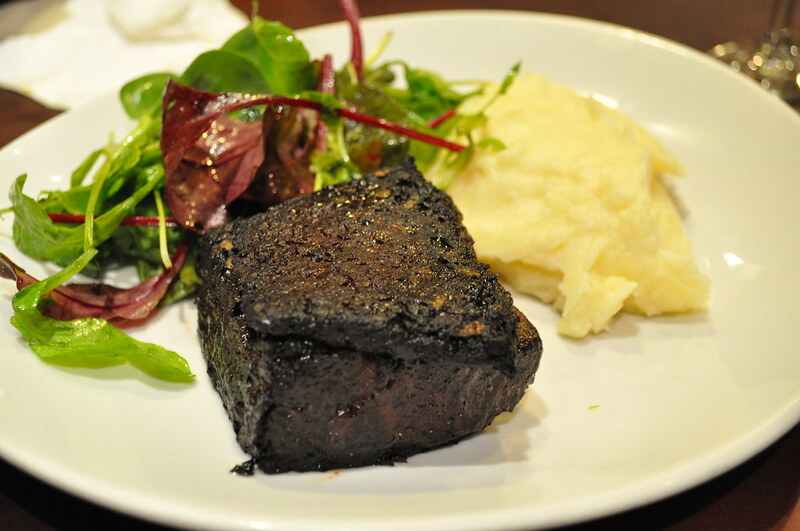 Perhaps it’s the texture – just ever so crunchy on the outside, first, giving way to a delicate yet slightly gooey interior. Or the flavors, which are expertly balanced – you actually taste all the flavors equally, whereas with Ladurée in a two-flavored macaron, one seemed always secondary to the dominant. 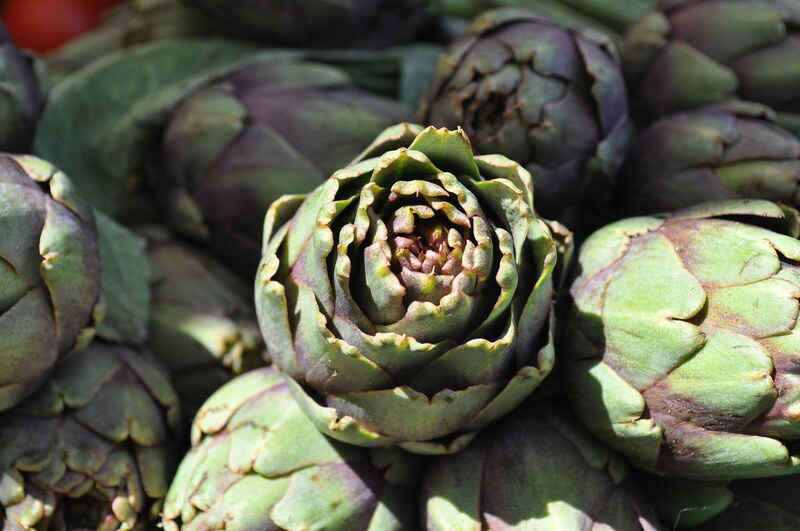 Or his inventiveness – who would ever think to pair, say, asparagus and hazelnut, and more, to know that it would be fantastic? We had (from top to bottom): Lemon, Licorice & Violet, Olive Oil & Vanilla, Chocolate Passion Fruit, Rose, Asparagus & Hazelnut, and Jasmine. 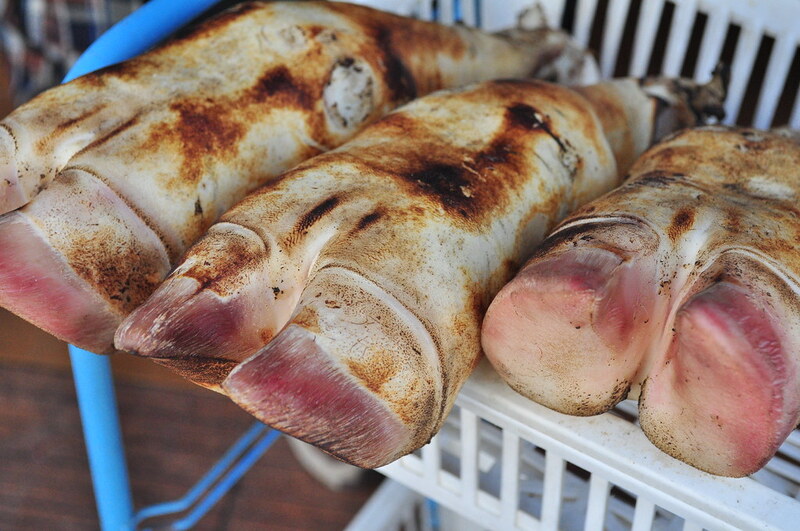 We attempted to transport a box of these delicacies to London, but they did not fare well in the heat. All the more reason to go back to Paris, and soon! clearly you need to be my editor. Pingback: ¡dpm! does many things. | empanadas ¡dpm! Previous Previous post: fresh mint & chocolate chip ice cream.